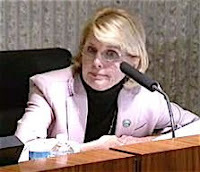 As expected, the Costa Mesa City Council meeting was worth the price of admission, even though one of the potentially most contentious issues - the proposed tougher solicitation ordinance - was continued until next month. I guess they may have realized that their plan had some major holes in it - like the lack of a Job Center, for example. The council decided to go along with the recommendation by staff regarding the shopping cart issue. 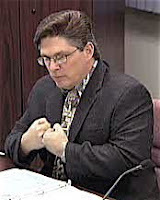 Monahan recommended the threshold for the requirements be raised to 15 carts from 10. It will take several months to get the details sorted out and the store owners informed. Eventually, this plan will save the city $48,000 that it pays to have abandoned carts scooped up and returned to the proper stores. I wonder what it will cost us in goodwill with the stores in town, and how any potential merchants will feel about locating here with this measure in place. Oh, yes - the section of the ordinance giving the "developer majority" on the Planning Commission final say was included - lord help us all! The urgency ordinance requested by the Police Department to delay approvals of new permits and licenses for massage parlors and therapists was approved. Chief Shawkey told the council that he will use the 45 day moratorium to work with the City Attorney to craft tighter regulations for such businesses to help head off those that might be fronts for prostitution. Due to the efforts by Foley, Leece and others, the concerts in the park were restored. The Costa Mesa Community Foundation came up with $4300 and the Fire and Police unions donated $2500 each to help produce three concerts in the park. It is possible that a fourth concert will be salvaged if the community can come up with $1000 - Foley committed to contribute $500 of the $1500 necessary to produce that fourth concert. The council unanimously supported the restoration of the remaining concerts. Leece moved that the Neighbors for Neighbors program be restored by using previously allocated funds from the Community Foundation. The vote was 4-1 in favor, with Monahan voting no. The Mobile Recreation Program was again rejected, despite the fact that the Costa Mesa Library Foundation and the School District both have participated in programs. Foley and Leece voted to reinstate it, but the three stooges on the council chose to take the short-sighted path and rejected it. Now the cit y will simply moth-ball the $82,000 vehicle and kiss off the opportunity to have a very positive impact on over 400 kids a month in our city. The Teen Program and the Youth Recreation programs were, once again, rejected by the men on the council. The council voted to receive and file the sister city and grad night programs, which means they remain unfunded in this year's budget. So, the men on the council demonstrated for their constituents one more time that they really have no clue when it comes to issues involving children and the importance of after school programs for them. Of course, we expect that kind of ignorance from Bever and Mansoor, since they have no kids that we know of. Monahan's insensitivity, however, is pure elitism - he can cover the cost of his children's private schools and all the after school amenities that goes with it by simply raising the price of a drink at his bar. The hardworking folks on the Westside that are the main beneficiaries of those chopped programs don't have that luxury. Monahan's "let them eat cake" attitude is disgusting, but not unexpected. I warned you about it last year during the campaign. Pay attention next time, will you please? By the way, is it my imagination or has Eric Bever decided to hibernate for the summer? His participation in the debates last night was nearly zero, and when he did speak he made no sense at all. If he plans to ride out the remainder of his term like this - basically phoning it in - perhaps someone should consider launching a recall effort so he can be replaced by someone who actually seems to be interested in city issues. And, finally, I must again commend Wendy Leece for standing up to the guys on the dais. She clearly has a much better grasp of family-oriented issues and, as an instructor at Juvenile Hall, she sees the end result of kids having little or no guidance and direction. I'm certainly not her biggest fan, but cannot help but admire her tenacity over the past couple months. I agree with, Leece is on the right on family issues. Because I felt very strong about it, I actually went out there and I let her know that. I was about to take some shots at the three stooges, but decided not to. In the end, it doesn't matter what we say. They will still vote according to what they had already decided prior to entering the Hall. When I hear Mansoor talking about "fiscal responsibility" I wonder if he really understand what that mean. Monahna talked about having 6 kids, and no one should accuse him for not understanding children needs and issues. Well, Clarence Thomas is a black man, and even though he went to one of the most distinguished schools in the nation, I don't think he fully understands African-American issues and problems. So, even if Monahan decides to have 8 kids at the same time, still he won't be able to grab the problems going on in the Westside. I'm curious about which part of Leece's opinions on family issues you agree with. Personally, I am pretty sick of hearing that the only thing keeping kids from becoming hardened criminals are government programs. That is horrendously patronizing, inaccurate, and racist. Let me get this straight - underprivileged kids on the Westside, who are predominantly Latino, are naturally going to become criminals unless the City provides after school and summer activities? Wow, if Millard had said that, it would be further proof of his racist attitudes, right? Character, upbringing, parents, family, church, school, intelligence, etc. are the factors that determine whether a child will be susceptible to criminal influences. Idle time is but one small, perhaps insignificant factor. Good kids will still be good kids and find something to do, even if the City doesn't park an activities van on their street. Of course, we SHOULD have these programs, but please - don't buy into the condescending BS that the City is the only thing keeping kids from being criminals. The hyperbole in both of your posts is impressive. You both know as well as I do that the "Father Knows Best" life that raises the best kids in the broadest population is a pipe dream. Wait, did Robert Young smoke a pipe in that series? Never mind, let's talk about reality. Low cost programs that provide positive activities such as sports and homework definitely pay dividends. We all know this. The lack of these programs certainly won't immediately affect me or my family. My sons are well entrenched in school, scouts and other activities. One is already an adult and the other soon to be. Does that mean that I don't support an almost immeasurable percentage of my local tax dollars going to these programs? No. I support them to the extent that they are reasonably inexpensive and well run. Both of those tests are met in my opinion. The question then becomes, to what extent are we willing to forgo the dividends these programs provide in exchange for other programs? The first step in answering that question is really getting the answer to another question. What programs are we keeping at the expense of these? Good luck getting a straight answer on that one! Honestly, what I see playing out on the city council is a group of individuals that really can not solve the budget problem; who are bickering and using this as an opportunity to attack programs they don't like. It is sort of a mini version of Sacramento. It isn’t leadership, it isn’t negotiations, it isn’t looking out for all segments of our city; it is personal agendas, regardless of their roots, directing policy for all of us. Personally, I am disappointed in the way they are approaching the budget. But, I have not been able to make it to any of the study sessions or council meetings to weigh in. Therefore I have tacitly approved what they are doing. Shame on them, but shame on me too. In my last post, I forgot to thank you for speaking at the Council meeting. Every single resident who takes the time to express their opinions directly to the Council helps the Council understand what is going on in Costa Mesa. Again, I agree that we should keep these programs intact - City funds should go to services for residents, yet the services are always the first to get cut. Mr. Dickson, We can go on with this issue and I'm pretty sure that both of us will ended up like we started, not agreeing on anything. I don't intend to convince you why is such a bad idea to leave poor kids (they could be Asians, Whites, Latinos, it doesn't matter) defenseless in such social environment like some areas in the Westside. I don't think I will ever do, unless you're willing to look at this problem from a different perspective. I think you're incorrect to assume that those of us (at least I) who support government programs to help reduce social problems are the only solutions. Of course there are more. More family involvement, education, nonprofits group are good to get kids out of trouble, after-school programs, individual responsibility, sports, jobs, etc, etc. Unfortunately most kids under poor economic conditions, living inside unhealthy social environments (gangs, drugs, prostitutions, poverty, etc.) aren’t able to get those benefits. Wendy Leece feels that if we let these kids messing around on the streets without parental supervision, and close to those social maladies (gangs,); they are likely to follow the wrong path. I think that’s good reasoning, and I support it all the way. Like Geoff said, I’m not a fan of Leece, but recently she has made a good impression on me. Now please don’t bring Millard in the discussion. He’s done. Most voters in Costa Mesa know –Thanks to Geoff, my book and other people who wrote about him—that he is a plain racist individual. No one in this city support his racist philosophical views. Don't get me wrong - I agree that these programs are beneficial. If we were to believe some of the speakers last night, including Wendy, these programs are the dam holding back the flood of inherent criminality in underprivileged kids. Hyperbole? You bet. How about some middle ground and credit for the thousands of parents who raise good kids on the Westside. These programs help hundreds of kids, and ARE valuable. But the sheer number of kids on the Westside makes the whole kids will turn to crime argument total hogwash from a statistical perspective. It isn't the City's job to save kids from themselves and their surroundings. It IS the City's job to provide meaningful recreation and other programs to its residents. If those programs reap other rewards, great! Rob, I disagree with Wendy on many issues, but I think her perspective on this one needs some attention. She's the parent of 5 kids and presently works teaching kids at Juvenile Hall. Certainly, her life experience gives her a vantage point on this subject that I don't have, and I suspect you don't have yet, either. The men on the council have never been advocates of any type of intervention programs and the youth recreation programs they cut from the budget are the foundations of any intervention. EVERY credible expert on youth gangs will tell you that intervention at an early age is critical to steering kids away from gangs and into more positive activities. Sadly, the long-term pay off - or, rather, the lack of pay off - by cutting these programs may not be felt for several years. By that time the kids who may have benefited from the programs will have gravitated toward gangs and will begin to become societal problems. The neighborhood I grew up in was becoming a gang haven. Today it has four, going on five, generations of the same gangs. With the exception of Boy Scouts (which I participated in) and the YMCA programs, there were no intervention programs available to at-risk youth. The result is a gang-infested community where kids hope to survive, much less thrive. I don't want to see that happen in our city. Unfortunately, much of the political dogma spouted by some of the current council members comes straight from the CM Press playbook. The author of that site, and those over whom he exercised significant influence, continue to beat the ant-Latino drum and use every tool at their disposal to discomfort and potentially displace that demographic from our city. Bever's "investigation" of the Aztec Basketball League is, in my opinion, just another example of the flames of intolerance being fanned by the CM Press author. As always, I do appreciate all your comments here and am happy to provide a forum where these kind of important issues can be vetted.